One of my favorite native plants is winged sumac. I like this plant not only for its ornamental beauty, but also for its fruit that can be dried and used as seasoning and to make tea. So you can understand my concern when one of my prized winged sumac plants had distorted leaves. After doing a little research and speaking with one of our UF/IFAS Specialists, I was able to determine that the leaf distortion was caused by eriophyid mites. Mites are not insects and are more closely related to spiders. They normally have four pairs of legs, however eriophyid mites only have two pairs of legs. They are microscopic, elongate, spindle-shaped, and translucent. 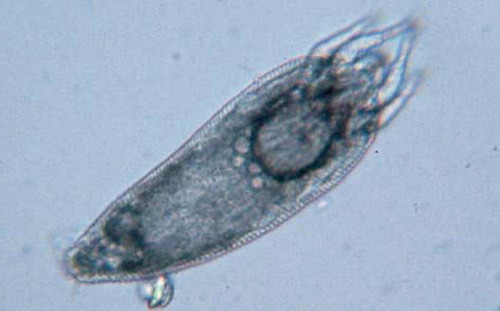 An eriophyid mite. Photo Credit: USDA, Agricultural Research Service. Eriophyid mites cause galls (sometimes called witch’s broom) on various species of ornamental shrubs. Symptoms include early and late bud distortion, distorted leaves, and possibly plant death. In fact, the species Phyllocoptes fructiphilus is the vector for the viral disease of roses called Rose Rosette Disease. Sometimes the damage can be confused with herbicide damage. Control options are currently being evaluated for eriophyid mites in the home landscape. Removing distorted plant material and removing it from the site can help prevent the spread of mites. If you suspect eriophyid mites are the cause of your distorted plants then samples should be collected. To collect samples: 1) Prune off symptomatic plant material and immediately place into a vial with rubbing alcohol; 2) label with collection date, plant species, and location; 3) mail to the Landscape Entomology Lab in Gainesville at P.O. Box 110620, Gainesville, FL 32611. For more information on eriophyid mites and the sampling process, please see the fact sheet “Unusual Galls on Woody Ornamentals” from Erin Harlow and Dr. Adam Dale. For more information on other mites that could be infesting your landscape, please go to this link from the Mid-Florida Research and Education Center in Apopka, FL. Home Gardeners, when they think of roses, their mind inevitably turns to the ‘Knockout’ rose and its offspring. That’s fine, there’s nothing wrong with ‘Knockout’ roses, it makes a great ornamental landscape plant, and it’s easy to propagate. 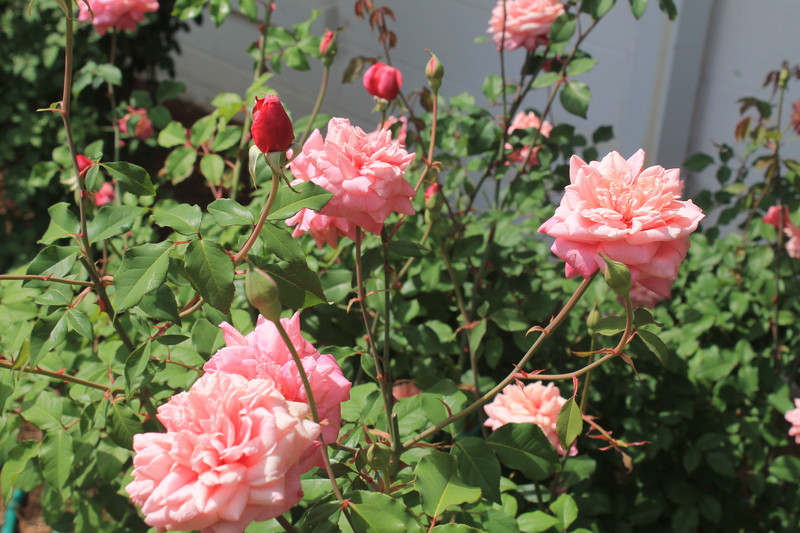 With all the ‘Knockout’ mania, since the early 2000s, many garden roses, that are well adapted to the Northwest Florida climate, have been left out of the home garden to a large degree. Several roses, which were grown in Florida commonly in the last hundred years, and recommended by former University of Florida president H. H. Hume in his book “Gardening in the Lower South,” are still grown here today. 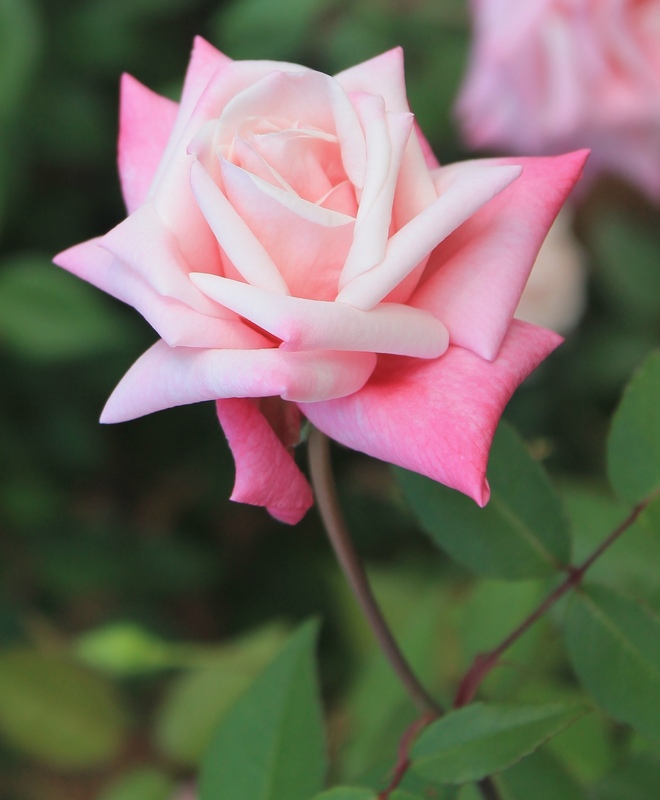 To obtain these roses gardeners must look to small nurseries scattered throughout central Florida and Alabama, or order them from larger nurseries in Texas where the “Texas A&M Earthkind Rose Program” has taken off. 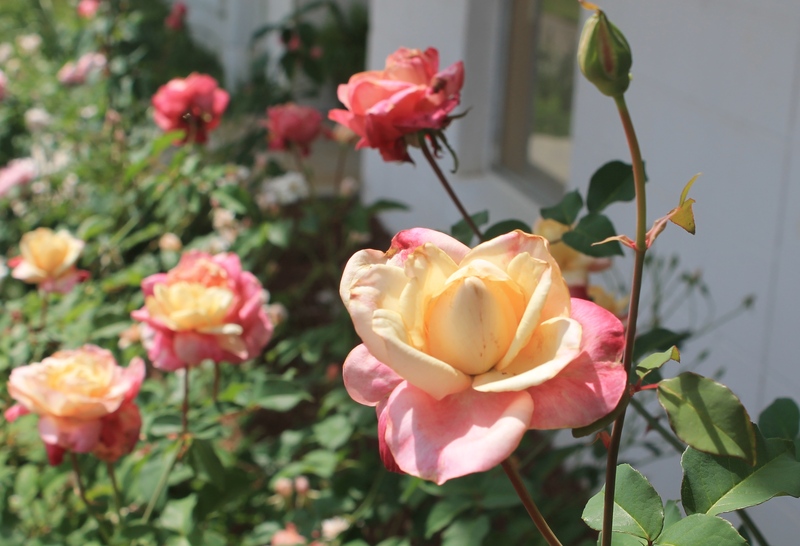 Below are a few examples of easy to grow roses, that are just as disease resistant as the ‘Knockout,’ but offer more variety in color and form that home gardeners might enjoy as much as or more than ‘Knockout’. They have been grown successfully throughout southern Texas for over 30 years, and at the Washington County Extension Office for the past seven years without spraying fungicides or insecticides. Several of these cultivars were also involved in a 3-year rose trial at the UF/IFAS North Florida Research and Education Center, in Quincy. One caveat I have regarding these roses is that disease resistance is lessened when irrigated with overhead irrigation. Even the most disease resistant roses will develop issues if leaves are constantly left wet. 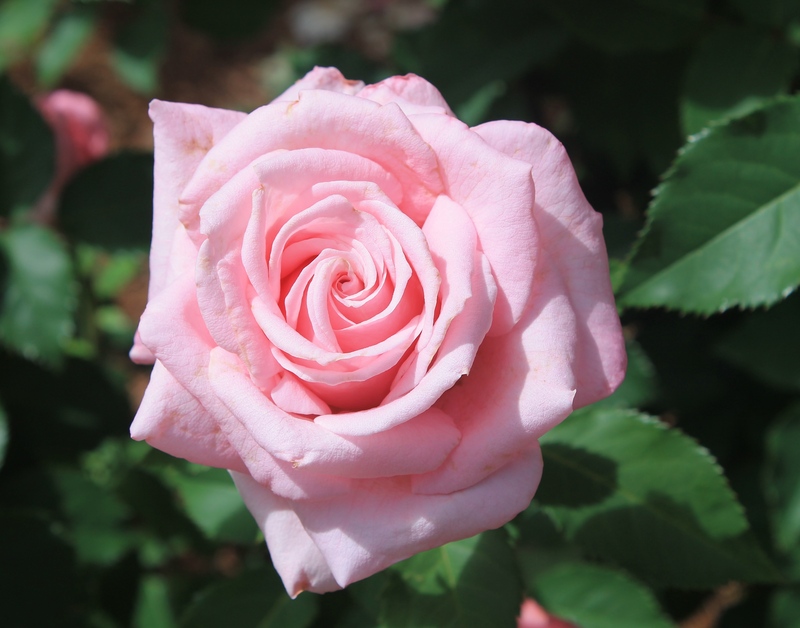 ‘Belinda’s Dream‘ was bred by Texas A&M Professor Robert Basye in 1988, as a culmination of years of intense breeding and selection for disease resistant landscape and cut flower roses. 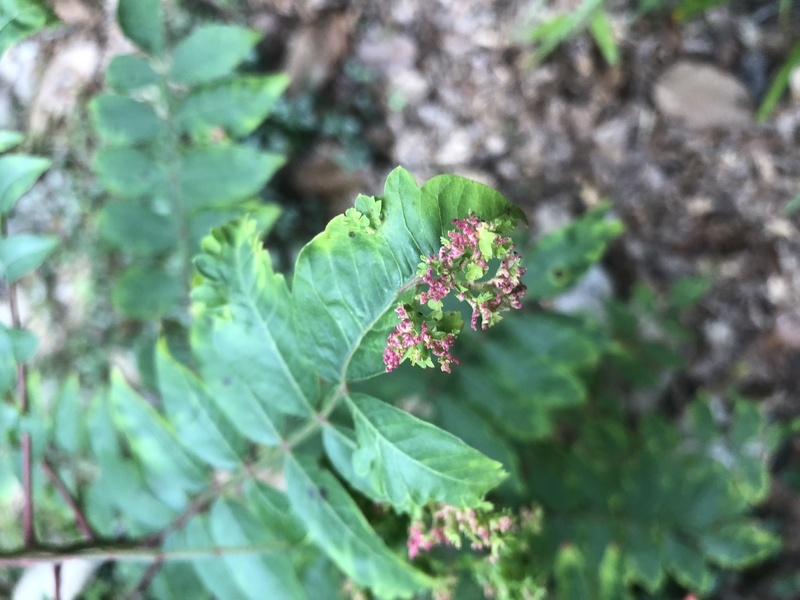 It makes a 4-5 foot shrub that grows about 3 feet wide. Apple-green foliage clothe its pleasing shrub form. It’s free flowering but not overly vigorous, so it’s easy to keep in bounds. Disease resistance is high, there’s rarely any blackspot of note, under no-spray conditions, and only slight powdery mildew in a few years when conditions are favorable for fungus development. In cool spring or fall conditions, the clear pink flowers can top six inches in diameter, and contain over 200 petals, but regular hot conditions during the summer usually reduce flower size to four inches. 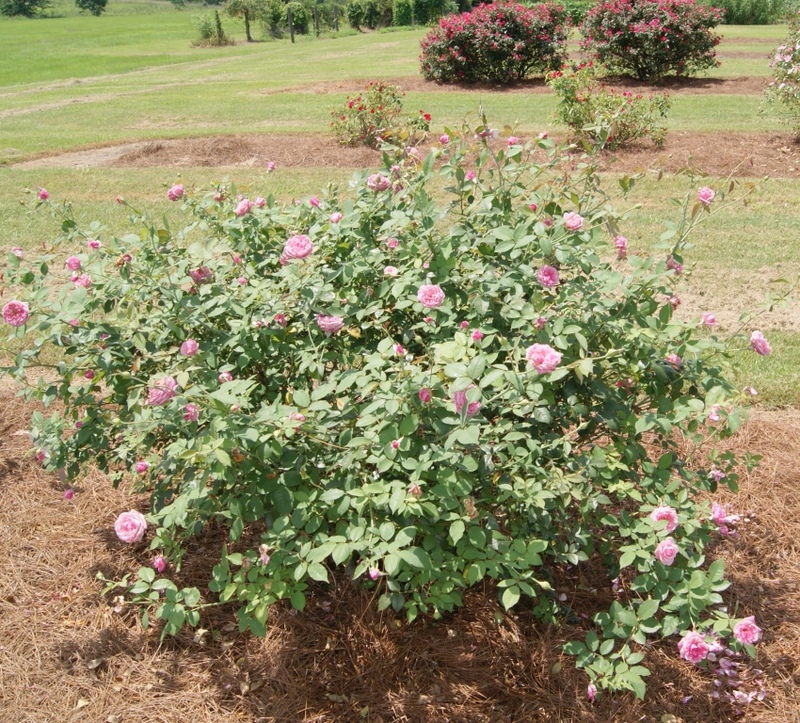 This rose loves to be part of mass plantings, particularly when planted 3 feet apart in a triangular formation. 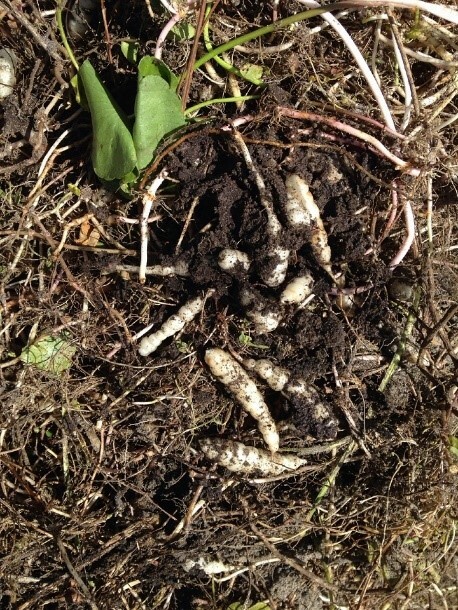 It has a reputation as being moderately easy to propagate. 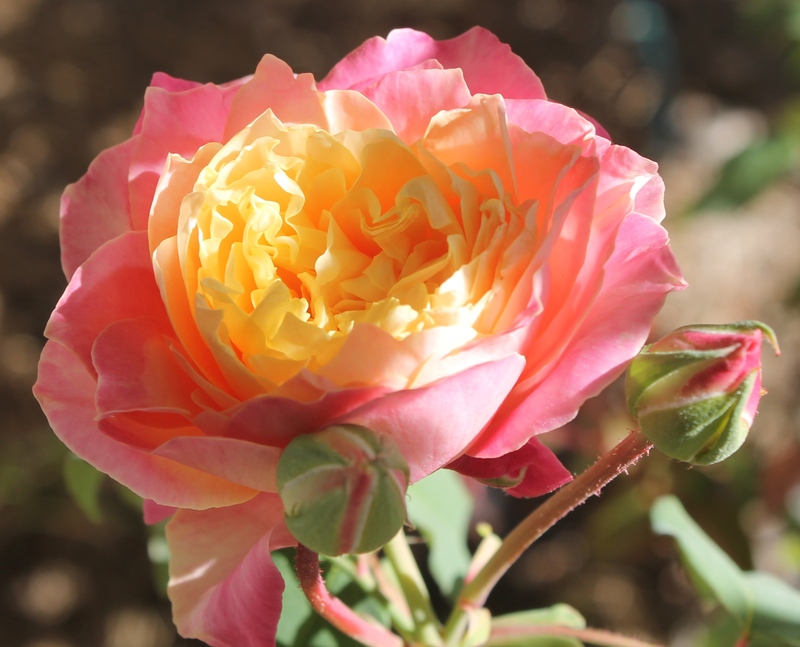 ‘Rosette Delizy‘ is a French Tea rose that was introduced to the U.S. nursery trade in the mid-1920s. Since it was bred before the days of modern fungicides, it sports excellent resistance to disease. It shows no powdery mildew, and only the occasional leaf with blackspot under no-spray conditions. This is strictly a rose for the coastal south, since it does not like cold temperatures, and cannot thrive north of zone 7b without protection. Color is striking, opening yellow with petal edges changing to pink as the flowers age. Cooler weather brings out deeper russet and maroon tones. It has a light “tea” fragrance. This mannerly shrub gets 4-5 feet tall and 3-4 feet wide. It requires very light pruning, and can actually be killed from heavy-handed gardeners with shears in hand. Minor flaws noted in this rose are that it is somewhat sparsely foliated, and somewhat difficult to propagate. ‘Madame Antione Mari’, a Tea rose, was introduced in 1900 when the buttonhole rose was all the rage. Massive quantities of perfectly formed delicate buds of pink and ivory quickly open into 3 inch flowers that decorate the bush like butterflies fluttering in the wind. Re-bloom is fast. Additional interest in the landscape is created by the deep red color of new foliage. This makes a mannerly shrub for the small landscape, easily kept at 3-4 feet tall, and 5-6 feet wide by light pruning. Disease resistance is above average in a no-spray garden, with very low blackspot infection rates, and only occasional powdery mildew. This rose has been found to be easily propagated with the author reaching near 100% success rate. Mrs. B. R. Cant at the Quincy rose trial in 2013. No mention of easy to grow roses is complete without the mention of ‘Mrs. B. R. Cant’. In the trials UF/IFAS horticulturists performed at Quincy and Plant City, this variety was rated the best performer. It has been in continuous cultivation since 1901, and is often found at old home sites and gardens in Washington County. This makes a large garden rose, easily topping 8 feet in height, and just as wide. Deep pink flowers are borne profusely from March to first frost. Disease resistance is outstanding, and it’s easy to propagate. 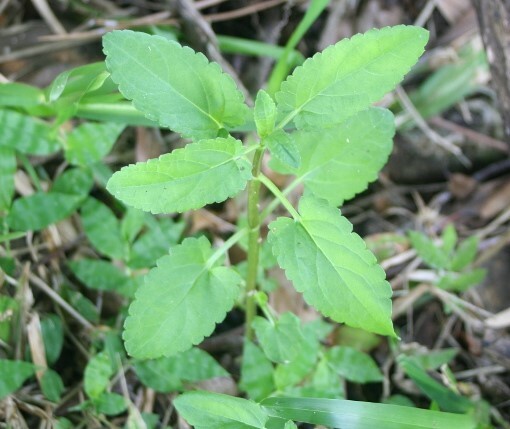 Plants are densely clothed in medium green leaves. This rose is often grown in hedges as a substitute for a fence. One of the best all-around garden roses for the gulf south. I provide presentations at workshops on these roses multiple times a year, throughout the Florida Panhandle. The recurring question I get is, “Where are these roses available locally?” Hopefully this article will inspire some local gardeners to try these easy to grow roses, and others, since these are just a few of the roses available that do very well in North Florida under no spray conditions. If you are interested in more information, contact, Matthew Orwat at UF/IFAS Extension Washington County. European honey bee. Photo credit: UF/IFAS. Bees, butterflies and other insects play important roles as pollinators in our environment. 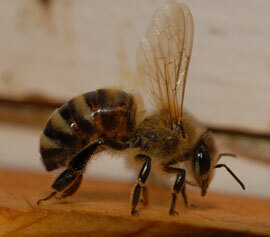 Over 50 major crops in the United States and at least 13 crops in Florida depend on honey bees. Many native plants in natural areas also depend on insect pollinators for reproduction. In Florida, over 300 bee species play a role in pollination! Did you know that bees become statically charged when they fly causing particles in the air to attract to them? What are some ways that we can reduce the risk of exposure to pollinators in our landscapes? 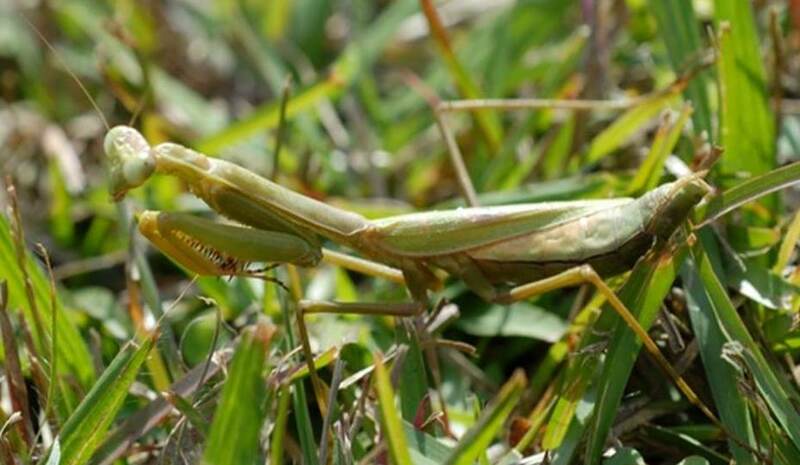 Use integrated pest management principles to reduce the incidence of pests and their impacts. Avoid treating areas containing flowering weeds/plants with insecticides. If you must treat your lawn with an insecticide, and it contains flowering weeds, mow the lawn and remove the flowers just before applying the insecticide. If you must apply a systemic insecticide to your lawn, leave a buffer strip of several feet between the lawn and the border of landscape beds with flowering plants. This will prevent the flowering plants from up taking the systemic product. Postpone any insecticide treatment until after all blooms have fallen from flowering ornamentals. Never apply an insecticide to blooms or flowering plants. Avoid the use of neonicotinoids as this class of insecticides can be more toxic to bees than other classes of insecticides. There are many effective alternatives. Bee friendly to our pollinators!